Austrian Ministry of Defence and Sports. decision-makers and to the interested public. Neither Russia nor the West is ready to fight for changing state of affairs in Georgia, thus large scale provocations will not occur. 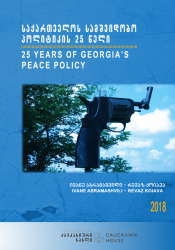 Any revision of the Georgian state policy towards conflicts is highly unlikely in the election year. While there are no open/public confrontations, growing tension between Abkhazia and Russia seems irreversible. Russia will continue to absorb South Ossetia without legal annexation. Russia has achieved her interim goals in Eurasian region by successfully putting West’s eastward policy to standby; still it has no sufficient resources to impose its own integration projects on its neighbours. Since Ukrainian crisis erupted the West is in a process of rethinking its eastern policy and respectively not ready to pursue any decisive steps. It seems that neither side is properly prepared to undermine existing status quo. Thus, large scale provocations are not likely to come to the fore in Russian-Georgian relations at least in a mid-term future. 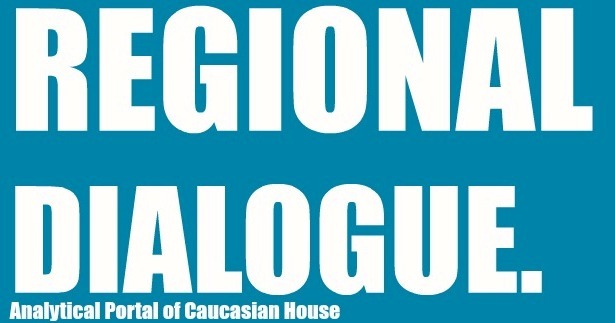 This year will be the last in office for the ruling Georgian Dream which from the very beginning identified the normalization of Georgian-Russian relations as their top priority. So far Georgian Dream has managed to reduce the level of confrontation with Russia, and resumed economic, cultural and humanitarian relations without giving up its western aspirations. Another priority direction was to restore direct contacts with Ossetians and Abkhazians relying on the same methodology – trying to focus on concrete issues and depoliticize agenda of negotiations to the maximum extent possible. Even though the policy has not succeeded in producing any breakthrough it has ensured sustained peace and cooperation with humble outcomes between the conflicting sides. In spite of the growing skepticism towards the current course of the Georgian government, it is highly unlikely that the policy will be revised in the election year. 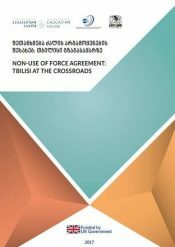 So called Treaty on Alliance and strategic Partnership signed between Russia and Abkhazia in late 2014, actually imposed by Russia in response to Georgia’s Association Agreement with EU, will remain the key cornerstone to determine developments in and around Abkhazia in 2016. While there are no open/public confrontations growing tension between Abkhazia and Russia seems irreversible. 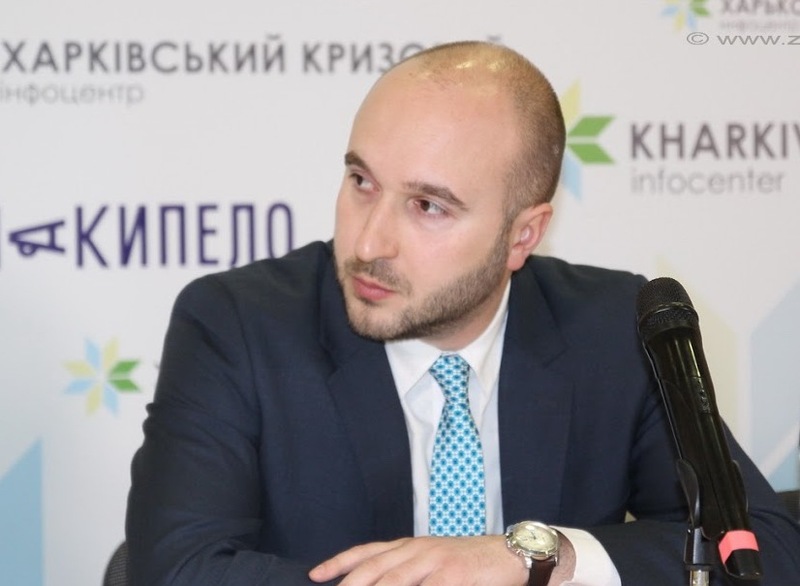 The major source of controversy lies in incompatibility of interests towards Abkhazian national project – while aiming to gain independence from Georgia Abkhazians never considered an option of becoming a part of Russia. Therefore the treaty entailing intensification of cooperation almost in all directions of political and social life, has been interpreted as an attempt of Russia to downgrade Abkhazian statehood to a token status. In 2016 most of provisions spelled out in the treaty are to be implemented which may lead to further discontent in Abkhazian society. Even though the recent period has seen slight changes in the Abkhaz political discourse, neither the international context, nor the local developments are not favorable for bold political decisions. However, small scale and mostly issue-based Georgian-Abkhaz cooperation may occur in 2016. Likewise Abkhazians could show greater flexibility in cooperation with European countries to mitigate Russia’s growing influence. 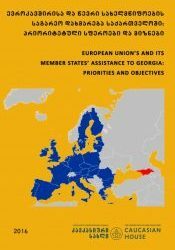 Therefore in respect to new developments EU’s policy regarding Georgia’s occupied territories – Engagement without Recognition, needs serious rethinking with the special focus on the engagement component. Unlike the Abkhazian national project the South Ossetian one is of rather irredentist nature than separatist, thus the ultimate goal of Ossetians is to become a part of Russia. South Ossetia quickly followed Abkhazia to sign a so called Treaty for Alliance and Integration with Russsia in 2014. While Abkhazians consider the treaty mainly as a threat for their sovereignty, Ossetians largely perceive it as an interim state and effective framework for further integration. Regardless of Ossetians’ hopes and expectations formal annexation of South Ossetia is highly unlikely since the battle for Georgia is far from its end. Russia has been excessively successful in using conflicts for imposing pressure on neighbours and for obvious reasons it is not going to revoke this policy. While no large scale violence or clashes between the conflicting parties are foreseeable in 2016, minor provocations, resumption of “borderization” (installation of barbwire/banners with symbols of South Ossetia) and detention of local population with allegation of illegal “border” crossing will remain as main challenges for state of affairs. 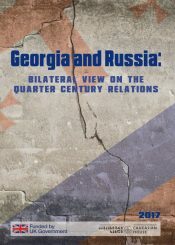 Taking into account the above mentioned circumstances, Russia’s deteriorated relations with the West on the one hand and Ossetians’ aspirations on the other, South Ossetia is highly likely to remain in a deadlock and beyond access for both Georgia and the West.